Clamour of Crows is a brilliantly crafted modern morality play that charts the life and curious death of the legendary entrepreneur Ben Baum, replete with mayhem, mystery, and perhaps, murder. The novel's reluctant protagonist, Jonathan Tucker, finds himself drawn into a maze of deception, death, and betrayal. Having lost the only things that matter, he is induced by his mentor to reengage with his former Wall Street law firm. Tuck, as he is called, has to develop skills he never possessed just to stay even with an unknown adversary in the world of big law, bigger business, and international chicanery. Ingeniously told, this saga blends elements of classic literature with nonstop action across two continents, taking you to the edge of your emotions and reeling you back, without ever losing its sense of humor and style. Peppering his story with allusions to the world's most adored children's classics, the author explores the height of greatness and the depth of evil. 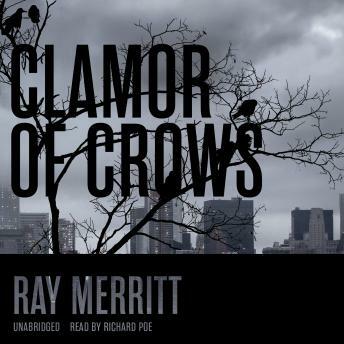 In Clamour of Crows, Ray Merritt has created a witch's cauldron of intrigue, betrayal, and unnecessary deaths as he explores the dark side of human nature and the fundamental essence of family and forgiveness.